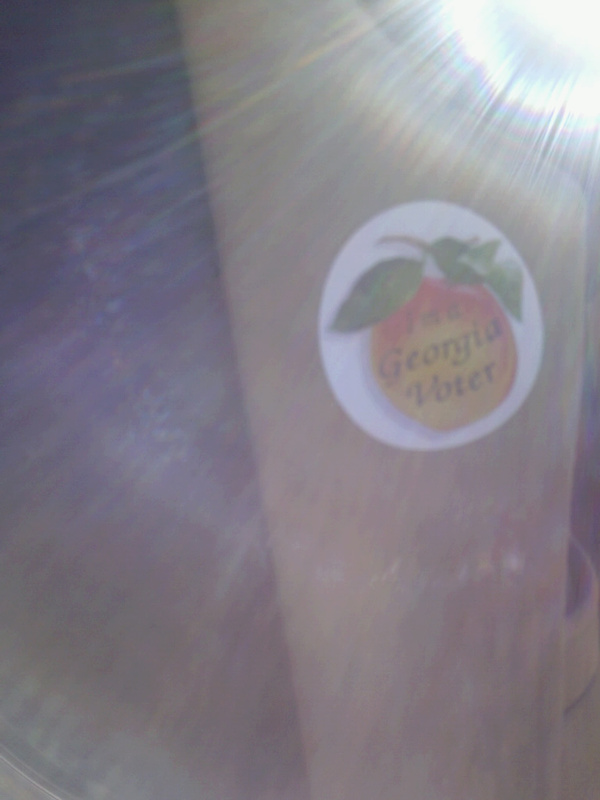 Georgia Voter sticker, lapel, morning sunshine. It wasn’t exactly romantic, but it was fun to do together: C & I voted this morning. We had some spare time, and we both disdain lines at government agencies. So instead of making googly eyes at each other over a few blueberry muffins and a café au lait before work, we exercised our right to vote. Awwwww, sappy. Dang it was worth it. You’ll not get anything here about for whom to vote or any political leanings. All I want to say is this: Please vote. Vote for the people you want. Dems. Repubs. Indies. None of them? No problem. Write in, baby. Write in. Just be sure to spell my name right. The lines in Downtown Decatur were not long at all, making the occasion all the sweeter. And the fact that someone had stuffed the parking meter full of 82 minutes worth of change was a nice surprise. I added a quarter for the next person. Nathan Hudgins. For a brighter, sillier tomorrow. 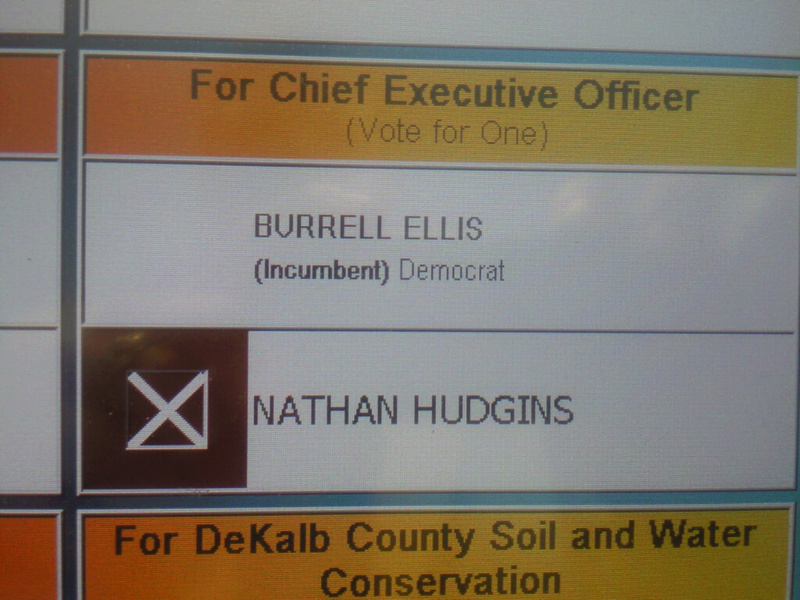 Casting our votes was invigorating, a feeling that matched the crisp October air that met us on the sidewalk. C drove off to meet her day. I walked down the street to plug in at a local coffee shop and start work, feeling a high that was somewhere between seeing Testament live and reading some Thomas Paine. Go git choo some, Amurica. Vote! Election year. Now before that gets you riled up and all bristly, take a breath. I’m not going to draw lines and take sides and try to convince you of anything polarizing. Quite the contrary. 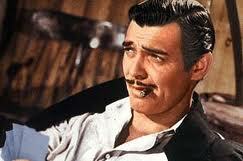 So gimme a minute before you start shooting holes in mah soapbox, Tex. Choices can be polarizing. Elections more so. Especially when your choices are limited. Too often, the choices aren’t about what — or whom — you like more, but rather what or whom you like less. (Sorry about the double-whom sentence.) And even when the like-less factors don’t drive your decision to the contrary, those like-less factors come to mind. Example: You like candidate X. She or he may have a stance or two you’re not super keen on, but you’ll cast your vote for her or him. When you hear about candidate Y, you get riled up. You get bristly. This is the point at which I’m focusing now, and I’d invite you to do the same. See, your getting the electoral heebie-jeebies is a good thing on one hand; it means you care, you’re aware, and (unlike Rhett) you do give a damn. But what I’m working on eliminating from myself (or at least cutting down on) is the negative reactions when it comes to politics. I suppose it’s apparent to me for a number of reasons, but I’ll distill it down to two. First is Facebook. Namely, political posts that seem to seethe ire and disdain. You know the ones — the ones that your other-side-of-the-aisle friends post that make you consider un-friending them or firing off a pointed reply to their posts. Be honest. Yes, you do. Second is something I heard on a Wayne Dyer CD. I’d love to quote the sentences that I’m thinking of, but here’s the gist: “You don’t have to agree on everything, nor convince someone of your viewpoint.” Ah, refreshing. I’m not saying ignore the negative (oh, it’s out there for sure no matter your political party). Just try to focus, instead, on the positive. Promote that. If we could stop the auto-antagonism reactions, how much better our day would be. What a better space we would be in. And I bet that it’d help improve our political process. People sling political mud because we, the American public, allow it. Want to change it? Change it inside yourself. That’s what I’m doing with some success, and it feels great.